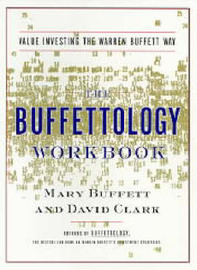 For over twenty years, Mary Buffett has been considered a leading authority on the subject of Warren Buffett's investment methods. Her internationally bestselling investment books, coauthored with David Clark--Buffettology, The Buffettology Workbook, The New Buffettology, The Tao of Warren Buffett, Warren Buffett and the Interpretation of Financial Statements, The Management Secrets of Warren Buffett, Warren Buffett and The Art of Stock Arbitrage, and The Warren Buffett Stock Portfolio--are considered investment classics the world over. Ms. Buffett is an international speaker, entrepreneur, political and environmental activist, and has appeared on television as one of the top finance experts worldwide. She is an associate of the top ranked UK Buffettology Fund in the United Kingdom. A contributing blogger to the Huffington Post, she and Sean Seah founded the Buffett Online School. 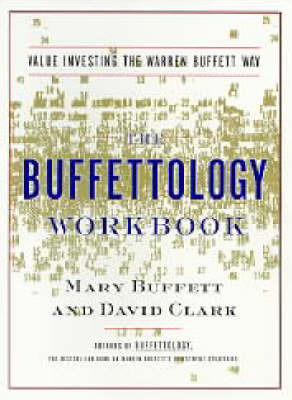 For over twenty years, David Clark has been considered the world's leading authority on the subject of Warren Buffett's investment methods. His international bestselling investment books, co-authored with Mary Buffett--Buffettology, The Buffettology Workbook, The New Buffettology, The Tao of Warren Buffett, Warren Buffett and the Interpretation of Financial Statements, The Management Secrets of Warren Buffett, Warren Buffett and The Art of Stock Arbitrage, and The Warren Buffett Stock Portfolio--have been translated into more than twenty foreign languages and are considered "investment classics" the world over. He holds a B.S. degree in finance and a law degree from the University of California, Hastings College of the Law. He is presently writing Berkshire Hathaway: Fortress of Capital, a corporate biography. When not consumed with matters of finance, he is engaged in the second great passion of his life, which is trial law and maintains an active national practice. Through the Planets to the Stars!